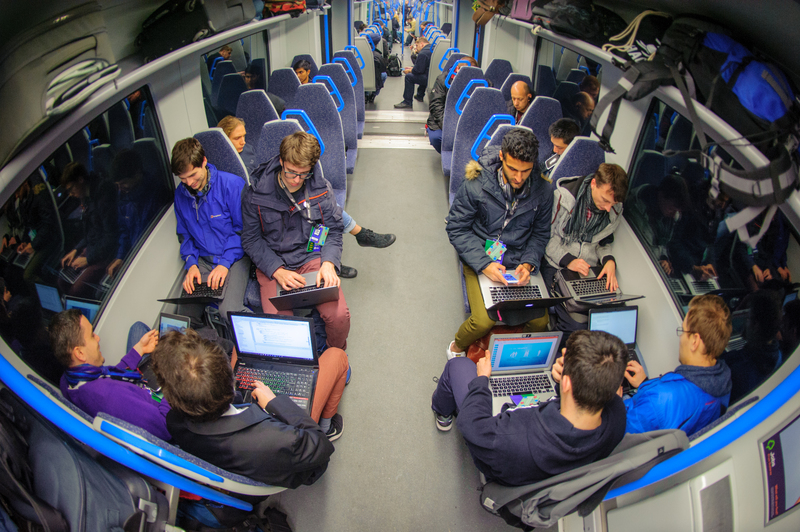 InnoTrans will bring together technology innovators from all around the world for its first-ever hackathon event. Run in conjunction with Hack Partners, which held its first hacktrain hackathon in the UK in 2015, the event will look to originate and develop innovative tech solutions for the sector during the course of the four-day show. The hackathon is being supported by Network Rail, Deutsche Bahn, Siemens, Silver Rail, Fujitsu, ORM, SBB and the UK’s Department for Transport. More than 400 applications were received, with 80 innovators selected to take part. Hack Partners CEO River Tamoor Baig said: “We’ve never had this much top talent applying to attend our hackathons before from so many different parts of the world. “One of the participants has never actually even been on a long-distance train in his entire life having grown up in Hong Kong using only the MTR. Yet, the ideas he is suggesting on how the passenger experience for long distance journeys can be improved are astounding. It’s why I’m so excited for this years event. The overall winners of the event will be given a £600 travel voucher. Other prizes include a Nintendo Switch, an Amazon Alexa and a £100 Amazon gift voucher. Baig said they hope to be able to take forward 100 per cent of the ideas generated during this year’s hackathon. He added: “Historically, we’ve always been a facilitator, introducing innovative tech companies and suppliers to TOCs and Network Rail etc. For last year’s hackathon we actually helped continue the ideas by collaborating with some of our hackathon participants and partners to run pilots with TOCs. The launch will take place at the Business Lounge from 5pm – 8pm on September 18. More information can be found on the InnoTrans website. Previous articleInnoTrans 2018 Outdoor Display: What to expect?